Free Practice: In the first free practice it was really busy on track with 35 cars running. All Kaufmann Drivers did a really good job and were fast upto speed. 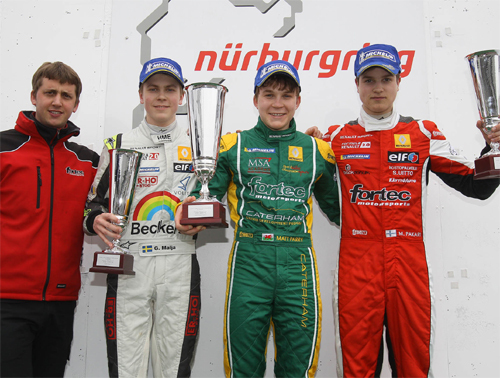 Tunjo was P3, Malja P6 and the two Rookies had been on P15 - Olsen and P25 - Delétraz. In the second free practice Tunjo was P6, Malja P13, Olsen P15 and Delétraz P22. 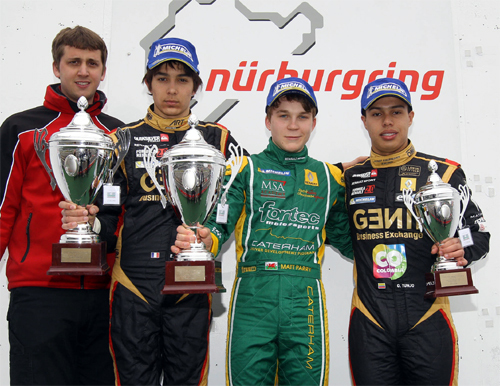 Qualifying: In the Qualfying which was split into two groups, it was Tunjo and Déletraz group 1. Delétraz qualified himself on P9 and P10 in the group. Tunjo drove a strong qualifying and took overall Pole Position and P3 in his group. In the second group it was Malja and Olsen. Olsen qualified himself on P6 and P8. Malja was dominating his group with driving the two fastest laptimes. Both times P1 in his group. The grid for Race 1: Tunjo on Pole, Malja P2, Olsen P12 and Delétraz P17. 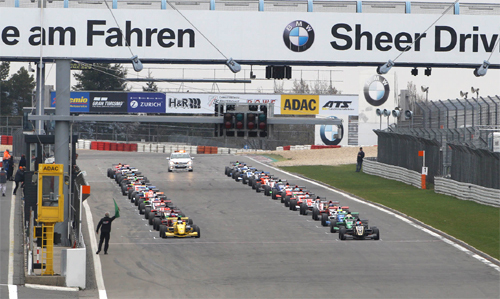 Grid Race 2: Malja P2, Tunjo P4, Olsen P16 and Delétraz P18. Race 1: Gustav Malja missed the start and had a little crash in turn 1. A damaged front wing forced him to make a pit stop loosing 1 lap in the end. Louis Delétraz also had a crash in the first lap and needed to retire from the race. Dennis Olsen drove a strong opening part of the race moving up to P7, where he also finished the race. Oscar Tunjo was leading the field after the start, but then made a small driving mistake and dropped to P3 where he also finished the race. First podium so far for Tunjo this year. Race 2: In the second race Delétraz and Olsen drove very constant and moved up position to P14, respectivley P12, were both of the Rookies also finally finished. Tunjo had some contact in turn 1 and with a slightely damaged car he dropped back to P10 in the end. 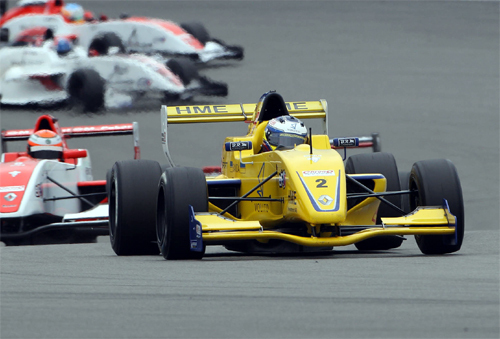 Gustav Malja showed a very strong performance driving fastest race laps and putting lot of pressure on the leader. 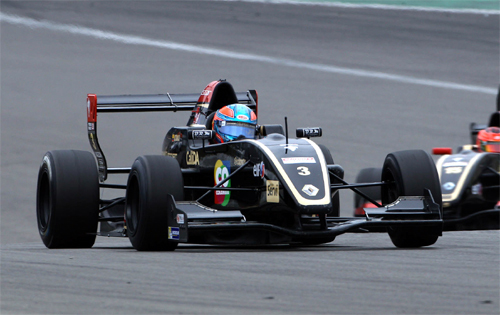 In the end Malja didn´t take any risk and scored a well deserved P2. First podium for the young Swede.